Washington says it does not believe PA is eligible to join the ICC, in surprising show of support for Israel given recent coolness. The White House on Thursday said efforts to have Israel charged with war crimes at the International Criminal Court (ICC) were "counterproductive" and would be opposed by Washington, according to AFP. 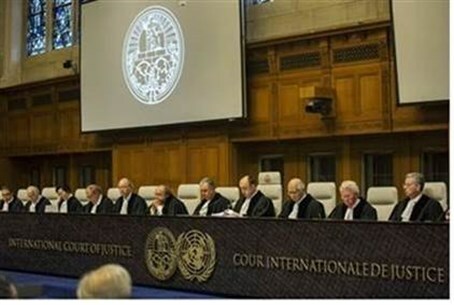 The United States has "made clear that we oppose actions against Israel at the ICC as counterproductive," National Security Council spokesman Alistair Baskey said after the Palestinian Authority (PA) submitted evidence to Hague prosecutors. Earlier Wednesday, the PA officially submitted the first batch of legal documents to the ICC in its attempt to have Israel prosecuted for "war crimes" - a move it has been threatening for months. US President Barack Obama's Democratic administration has said it does not believe “Palestine” is a sovereign state and therefore does not qualify to be part of the ICC, but has not explicitly threatened to withhold aid. Washington did, however, indicate it was reviewing its annual $440 million aid package to the PA because of the decision to join the ICC, which is a breach of the 1993 Oslo Accords.